So, you and your buddies are getting the band back together. Unfortunately, you now live in the suburbs instead of your downtown loft. Your neighbors have made it clear that do not appreciate late night jam sessions. What do you do? One option may be to rent a storage unit to hold your practices. 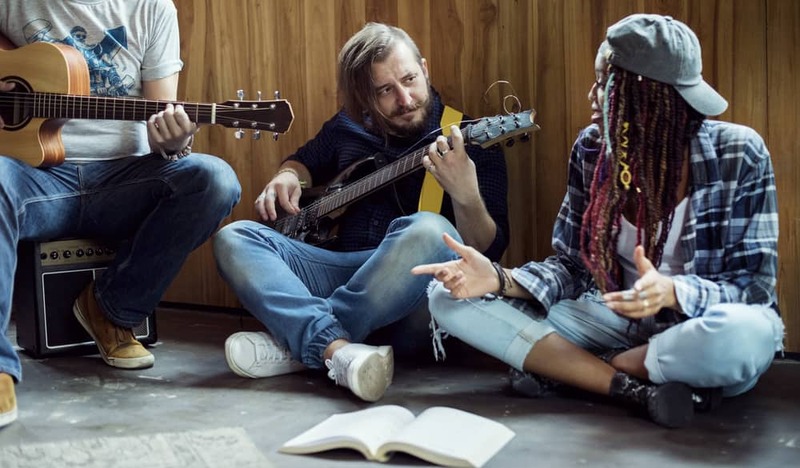 While there are a few regulations and limitations that define how the space can be used, it is likely much more affordable than renting a rehearsal room. Today, Affordable Family Storage will discuss some of the benefits, as well as what you need to do to rent a storage unit as a rehearsal space. First, it is a good idea to let management know that you want to hold band practices at your unit to get the a-okay. You will want to get a sturdy lock for your storage unit as well because as any musician knows, musical equipment is expensive. You are going to want to protect your investment. Luckily, Affordable Family Storage also offers 24-hour security to keep your storage unit safe. Also, invest in storage insurance. Music instruments are a hot commodity, and you want to be able to replace your equipment if it is damaged or stolen. Climate-controlled storage units are also ideal, as instruments can be susceptible to humidity changes. Make sure you rent a unit that is large enough for not only your equipment but any members to comfortable play. Something like a 10x25 unit could be perfect. It may be a good idea to invest in sound insulation so you can rehearse without bothering others at the facility. Storage units don’t only work for bands, they can also be an excellent place for acting groups to get some practice in. Storage units are quiet and secluded, so you can get great practice time in without distraction. Comedy or improv groups could also benefit from a secluded space. A storage unit will save your group a lot of money compared to having to rent theatres or studios. Need a Storage Unit in Council Bluffs, IA? If you are in the Council Bluffs area and in need of an affordable, quality storage unit, Affordable Family Storage is for you. Our units are climate-controlled and offer 24-hour security. You can rest easy knowing that your belongings will remain safe and sound in our hands. If you are interested in learning more about our storage facility contact us today at 712-794-4648.